Gerald Ratner took over as CEO of the family jewellery chain in the mid-80s, becoming one of Britain’s best-known businessmen. He transformed it from 130 stores with sales of £13m, to a public company with 2,500 stores and sales of over £1.2bn. By 1990, Ratners was the world’s largest jewellery retailer with profits more than £120m. Following a high profile gaffe in which he described some of the products sold in the stores as ‘total crap’, he was forced to sell the business. Gerald Ratner could not have predicted the damage caused by his casual remarks about his best selling line. He went from the world’s most prominent jeweller to nothing in a stroke. In 2003 he launched a new venture, geraldonline.com. The specialist diamond retailer sells jewellery, watches and hallmarked gold and silver through a secure site. It has formed alliances with a number of partners including SB&T, an Indian based producer, Goldsmiths and Royal Brierly – the only UK manufacturer of traditional hand-blown crystal. The online business is already the largest of its kind in Britain. After clawing his way back to the top, Gerald talks with typical candour about the rollercoaster journey and the valuable lessons learned. As a keynote speaker, Gerald offers audiences a first-hand account of the demise of his multi-million-pound jewellery business and how he has managed to put this behind him and successfully re-launch his career in a highly competitive marketplace. Strong practical business messages and the execution of management strategies, combined with innovative ideas are guaranteed to show audiences how to beat the competition, delight customers and increase both sales and profits. 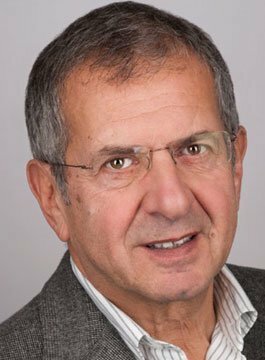 An incisive and astute businessman, Gerald Ratner is also a charming and witty speaker, captivating audiences with his incredible story of both his success and failure.